/Assigned Seating /I would like to add a legend, a map, and/or some graphics to my seating map – How do I do that? First you need to decide if you would like this to be on your master map under “My Venues” or a map on a particular event. If you edit the master map, all future events that are not currently using it will have the changes. If you edit a map on “My Events”, only that map will have the changes. 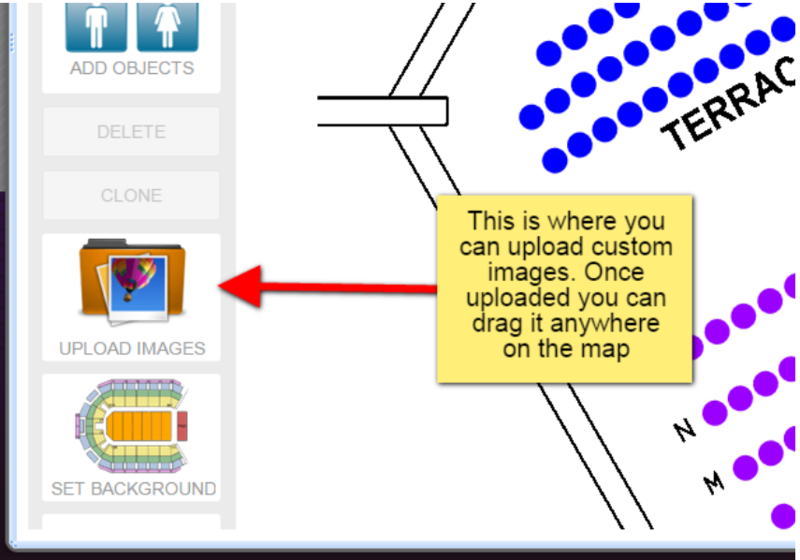 In the seating map editor, on the left side you will see and “Upload Image” button. Supported file formats are PNG, JPG, and GIF.